In bluntly vulgar language, U.S. President Donald Trump questioned Thursday why the U.S. would accept more immigrants from Haiti and "shithole countries" in Africa rather than places like Norway, as he rejected a bipartisan immigration deal, according to people briefed on the extraordinary Oval Office conversation. 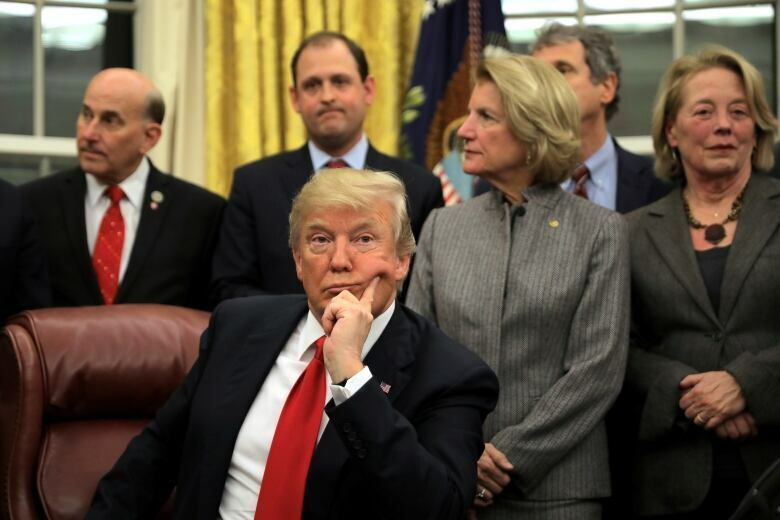 Trump's comments came as two senators presented details of a bipartisan compromise that would extend protections against deportation for hundreds of thousands of young immigrants — and also strengthen border protections, as Trump has insisted. Trump has claimed without evidence that Barack Obama, the nation's first black president, wasn't born in the United States. He has said Mexican immigrants were "bringing crime" and were "rapists." He said there were "very fine people on both sides" after violence at a white supremacist rally in Charlottesville, Va., left one counter-protester dead. The Democrats seem intent on having people and drugs pour into our country from the Southern Border, risking thousands of lives in the process. It is my duty to protect the lives and safety of all Americans. We must build a Great Wall, think Merit and end Lottery &amp; Chain. USA! 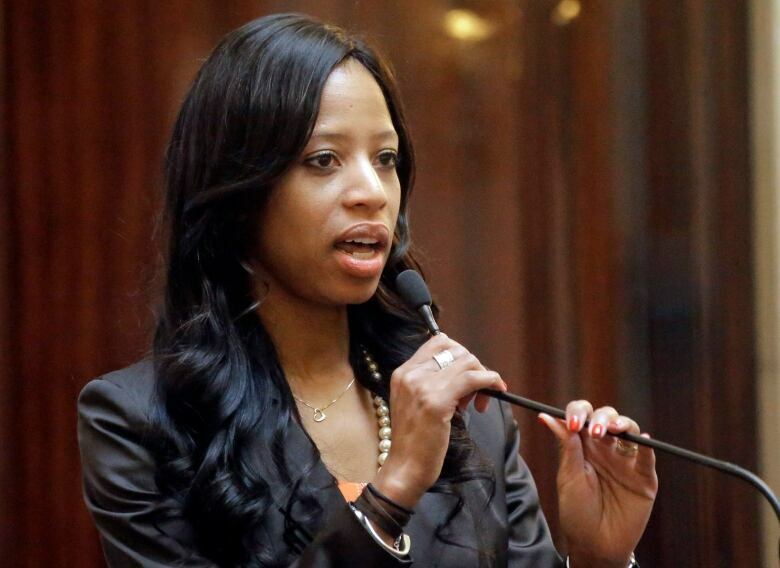 Republican Representative Mia Love of Utah, the daughter of Haitian immigrants, said Trump's comments were "unkind, divisive, elitist and fly in the face of our nation's values." She said, "This behaviour is unacceptable from the leader of our nation" and called on Trump to apologize to the American people "and the nations he so wantonly maligned." 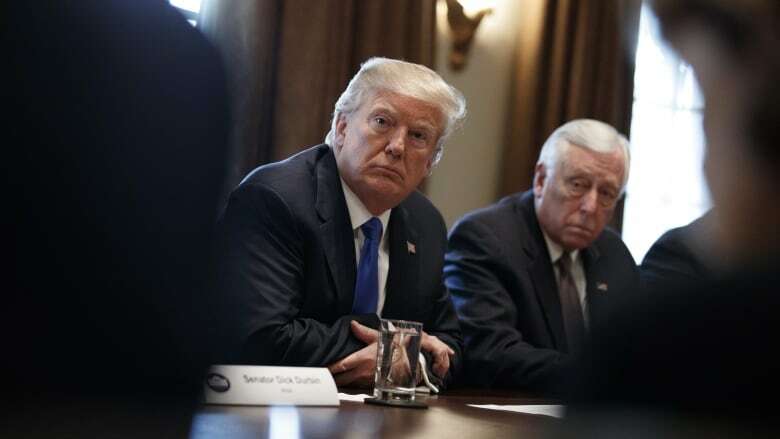 The agreement that Durbin and Republican Senator Lindsey Graham described to Trump also includes his $1.6 billion US request for a first instalment on his long-sought border wall, aides familiar with the agreement said. They required anonymity because the agreement is not yet public. Trump's request covers 119 kilometres of border wall as part of a 10-year, $18 billion proposal.